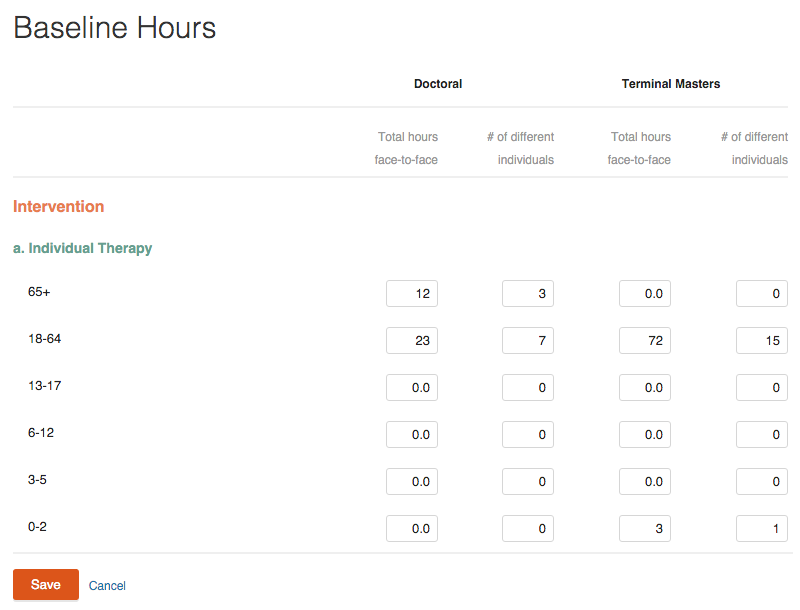 Baseline Hours will ONLY be used for APPIC applications and can only be viewed in a student's APPI View Report, which is used when transferring your hours to the AAPI Online. Keep in mind that Baseline Hours will not show up in any other Time2Track report. If you have hours that you acquired before using Time2Track and those hours are NOT needed for the APPIC application, you will want to backlog those hours. Click the gear icon in the top right-hand corner of the screen in your Time2Track account, then click Baseline Hours. Enter your baseline hour totals for each item. Do not leave numerical fields blank – just enter 0 if there is nothing to report. Click Save. 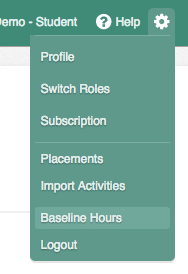 Your Baseline Hours will now be included in your AAPI View Report.